Father’s Day is frequently marked by ties, handmade cards, special fishing trips, and steak dinners. It is a special time set aside to remember all that fathers do to support and nurture their families. At the same time, as with many holidays, it can be hard to ignore the commercial undertones that come along with the day. While Father’s Day can be a great way to honor the bond between a father and his children, the motives behind the holiday itself have not always been so pure. The renown of the recently created Mother’s Day led Senora Dodd to found Father’s Day in 1910. She came from a family of six children supported by a single father and wanted a way to honor him for the sacrifices he had made in caring for their family. While Dodd may have been earnest in her motives for creating Father’s Day, it took the aid of trade groups and financial institutions to really get the holiday recognized on a national scale. It wasn’t until the mid 1920s and early 1930s that Father’s Day began getting international recognition. Trade groups that sold gifts that were, at the time, typically purchased for a father, such as pipes and ties, began coming out in stronger support of the holiday. The Associated Men’s Wear Retailers particularly helped spread word of the holiday and supported its becoming a federal holiday. The association formed the National Father’s Day Committee in the 1930s in New York City in order to further advertise the potentially profitable holiday. Both President Wilson and later President Coolidge came out in favor of Father’s Day, garnering it some further recognition. Much of the controversy about Father’s Day at the time centered around commercialism in one way or the other. Some shop florists warned that sentimentality about fathers was not as strong as it was for mothers, and they would not see high enough profits for the day. Many ordinary people saw Father’s Day as an attempt to domesticate and subvert masculinity by celebrating it with flowers and sentimentality. Many more understood the commercial reason behind the support for Father’s Day and became cynical about the day. In the end it was the Great Depression that secured a place for Father’s Day in the national holidays. A great deal of public support was garnered for dissolving both Mother’s and Father’s Day in favor of a more equitable Parent’s Day, but increased pressure on stores to find a way to turn a profit led to a greater push for the nationalization of both holidays. The National Father’s Day Committee took advantage of the controversy in their advertising for Father’s Day gifts. 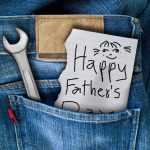 Rather than insist Father’s Day was a holiday based on pure motives, they sent out advertisements that satirized the over-commercialization along with everyone else, thereby increasing awareness. The end result was a holiday that most people saw as overly commercial but would still buy a gift for since it seemed socially expected. The power of insisting that everyone else was buying gifts led to a Father’s Day that was the equivalent of a “second Christmas” for retailers, with a solid three weeks of increased purchasing leading up to the day itself. While it was widely celebrated for years beforehand, Father’s Day was officially signed into being a national holiday in 1974 by President Richard Nixon. While the moniker of “second Christmas” isn’t really accurate anymore, there are still quite a few commercial aspects to the standard Father’s Day. While it can be easy to become cynical in the face of such commercialism, Father’s Day can still be a special time to honor the love and support that father’s offer their families without becoming obsessed with the gifts. Something as simple as heartfelt words and special time together can be a great way for both fathers and their children to show how much they appreciate each other.